Lenormand I believe are actually a formalized deck rather than being random like Gypsy cards. 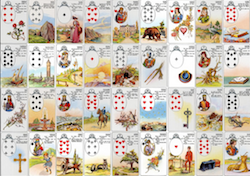 They usually a set of 36 card deck which have both a picture and playing card insert somewhere on each card, although the Mystical Lenormand put out by U.S. Games do not which is unusual. Whether or not the cards are good depends on what is in front of each other and behind it – they are usually read in groups of either two or three together. I have an additional two Lenormand deck which besides having the above cards have some additional extras. My second deck which I purchase direct from the artist Ciro Marchetti. The playing card insert on these is very small and sits in the right hand corner of each card. I only take note of the playing card on them when it is the Outcome Card to a particular question during a reading. This deck is called Gilded Reverie Lenormand. The additional cards in his deck are: Dice, Clocks, Mask and Bridges. 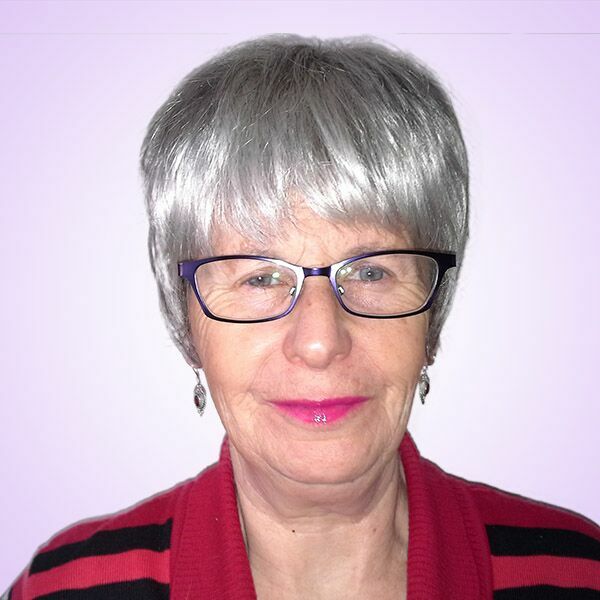 My third deck again I purchased over the internet direct from the artist named Shades of Pink Lenormand deck coming from I believe Canada – Artist name is Lynn. This is an unusually large deck as it has 4 ladies; 4 men; 2 raiders (one being a lady); 2 children – one boy one girl along with some extras that one would normally find in a Gypsy Card Deck. Her extras are; YES, NO, CATS, PURSE, SEXUAL DESIRE, CLOCK. Unfortunately Lynn has since decided to close shop and I am very fortune in getting a deck from her before this happened.